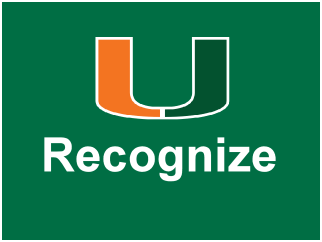 Read the Statement of Solidarity to the Muslim Community from the University of Miami Multifaith Dialogue working group and the University Chaplains Association. 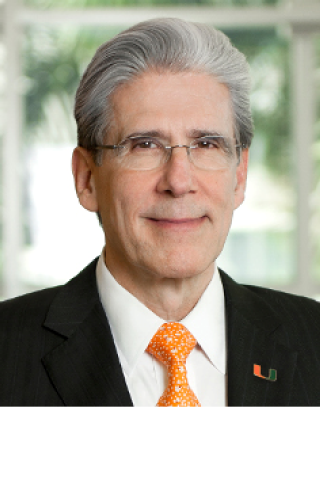 The Office of Institutional Culture is about improving the University. We are creating a culture of belonging where every person feels valued and has an opportunity to add value. We are fostering a value-based and purpose-driven organization. To get there, the university community decided on a set of common values, leadership expectations, and service standards. All of these principles will increase engagement, productivity, and positive outcomes. 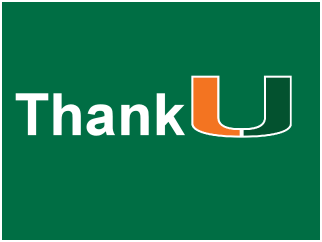 ThankU is a tool that allows you to send a note of gratitude to any UM employee. Show your appreciation by sending someone a ThankU. Connect2U is a tool that allows employees to join groups, post events, share ideas and make new friends. Recognize colleagues by tagging them with our DIRECCT values. Earn fun an unique badges when tagging colleagues with our DIRECCT values. "Universities must lead the way in intentionally cultivating the free expression of diverse perspectives. If we are not deliberate about creating the conditions that will encourage real bridging, we are left with multiplicity rather than real diversity."